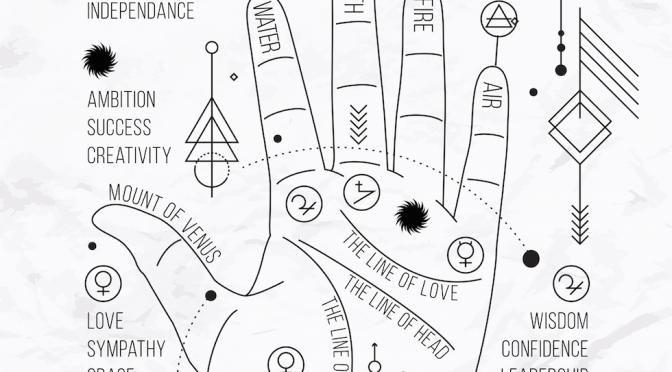 THE HISTORY OF PALMISTRY: WHAT DO YOUR HANDS SAY ABOUT YOUR PERSONALITY? Have you been curious about the lines on your palms? Today we will be sharing in on the study of palmistry. 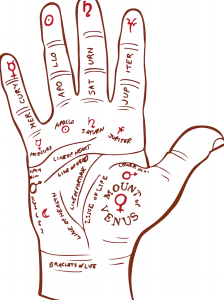 According to Psychic Library, “palmistry reveals individual personality and character traits through the study of the shape, size and lines of the hands and fingers”. Today we will zooming into what the shape of our hands reveal about us! The practice of palmistry started in India, where it is still a common practice to this day. It is studied in the Vedic spiritual texts. From there, the practice spread to other areas like China, Egypt, Greece and Europe. Prehistoric caves from France and Spain have drawings on their walls of hands with lines drawn in as well. 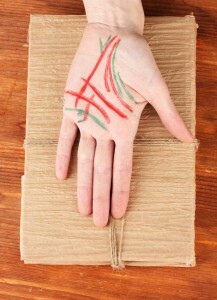 The idea is that expressions of our thought-patterns and beliefs can appear on our hands. Cleopatra’s beloved Julius Caesar decided on the characters of the men working for him through reading their palms. Fate, however, is not set in stone. According to Gary Markwick, internationally renowned palmist, the lines on our palms and the shapes of our hands can change in just two months! Can it all just be thought based? More psychologists and researchers are beginning to learn about what we can find out about a person through their hands. For example, some medical researchers speak of a connection between genetic abnormalities and specific marking on hands such as more ulnar loops. The same way that astrological signs are associated with one of the four elements (fire, water, air and earth), hand shapes are too. The 4 elements each represent different personality traits and temperaments. Some people even believe that hands shapes can reveal which career types are best suited for a person. People who have the fire element usually have long and rectangular palms. Their fingers, however, are on the shorter end. Fire types are associated with adventure, gut level instincts and action. They are known to have a go-getter attitude. Fire types are natural leaders, and are known to be intensely passionate. They have a love for life. They may also have the tendency to be impatient, or not be so mindful of the effect of their actions on the feelings of other people. People who have the Earth element usually have a square palms and short fingers. Earth types are known to be realistic, dependable and practical. Long-term relationships can feel more natural to them. They are known to love being in nature, and are very sensual, aware of all their senses. Like mother earth, earth types can work at a natural, rhythmic pace. Due to their orientation towards practical matters, they may be prone to becoming too caught up with work, hoarders, or stubborn. People with the water element generally have short oval palms and long, slender fingers. They are known to be highly creative, imaginative and emotionally attuned individuals. This comes with its own pros and cons. They are natural healers, with compassionate, caring and giving hearts. They are generally good at relationships, and the flow of love comes naturally to them. However, their level of emotional attunement can make them more susceptible to anxiety and depression. They may also be prone to manipulative tendencies if not feeling right. Emotions may also dictate their lives heavily. People with the air element can have either a square shaped or rectangle shaped palm, but have long fingers. However, the length of the palms and fingers are usually equal. Air types are known as the intellectuals, the ones who can’t help but do an analysis of the world. Their heads are known to buzz with multiple ideas at once. They are known to possess strong intellectual abilities, and can offer fresh and innovative interpretations and solutions. They are also strong communicators and charming in their own ways. According to beliefnet.com, an air person may “think before he feels, and sometimes thinks instead of feeling”. Due to this tendency, people around them may perceive them as dethatched or unconcerned with others. Do you find this analysis according to palmistry true for you? Did you know that you aren’t just influenced by one sign? For example, you may be a Libra, but have your Venus in Virgo. This would mean that in your relationship life, you would possess Virgo tendencies. In the same way, other aspects of your hands can reveal more depth about your personality. Look out for more articles by us, to share what your hands may graciously reveal about you!